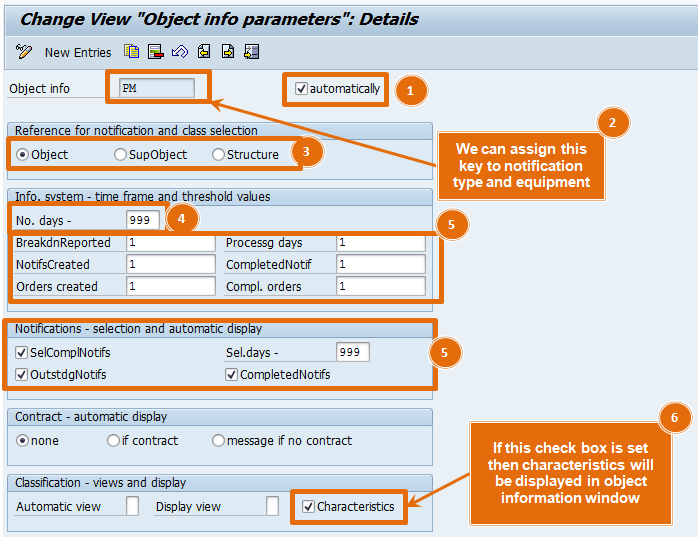 Object information key in SAP PM is an important part of SAP PM business processes. 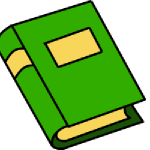 Object Information key helps us to get a brief history of a technical object in a special information window. 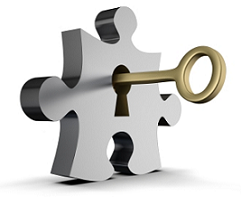 In interviews, one can ask about object information key. 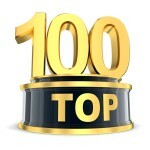 This article will help you in interview preparation and consulting. Please go through each point carefully and build your concepts. Do not forget to read this article till. At the end of this article I have provided an important interview tip. 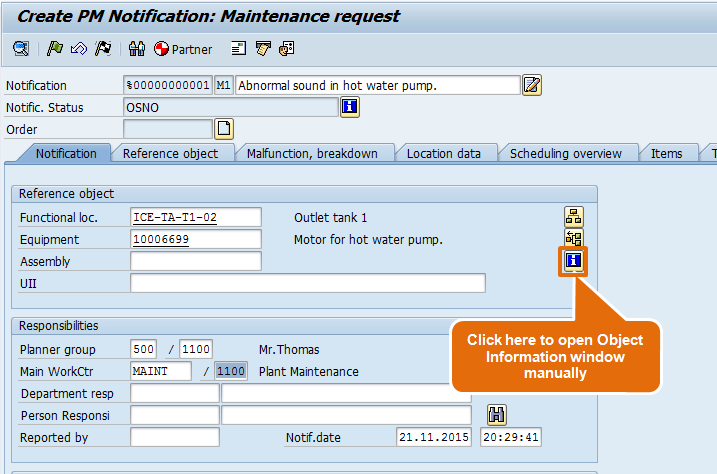 While creating the maintenance notification when you enter the reference object such as equipment or functional location, at that time a object information window pops up. This window contains brief information about previous notifications, breakdowns and maintenance orders. If you want then you can configure it in SPRO in such a way that pop up window will not come. In such case user can click on a information button on notification screen to see this window manually. If there is not setting to bring this pop-up window, the object information can be seen by clicking on information button (as shown in below screen shot). We can configure it in SPRO. Please check the configuration path in below box. We can configure whether we want to display the special information window automatically via a pop up at the time of creating notification or maintenance order or we want to display it through a push button. 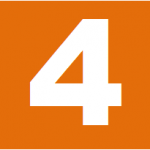 You can maintain the threshold value while considering historical notification and order data. Suppose you want to display notification or orders count if they are created in last 365 days. You can consider data for maximum last 9999 days. As a consultant I would recommend you to keep it 365 days or 999 days. You can select whether you want to see outstanding and completed notifications. This setting is necessary because if you have received a notification for a technical object and maintenance department is working on the job. After shift change next shift in charge again creates a new notification for the same technical object for the same reason, then the object information window will show the list of outstanding notification for the technical object. This will work like an alert that there is already an outstanding notification for same technical object. 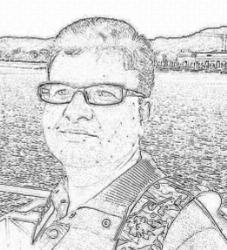 Classification views allow us to see the specifications of technical object. We can see the class and characteristics of technical object. 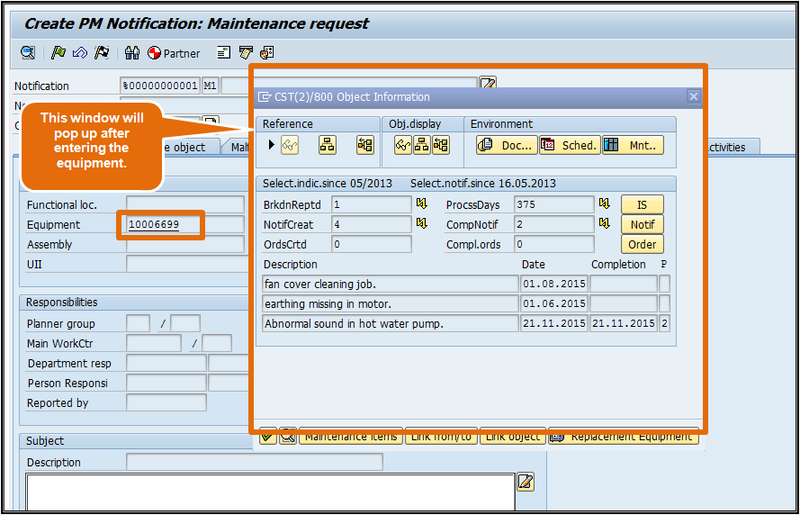 That’s all for Object information key in SAP PM. If you have additional knowledge about it then please comment below and please share this article on linkedin, facebook and twitter. If this questions is asked in interview then do not forget to use words “Special information window” and “Brief History Card” this will put up a good impact on interviewer.